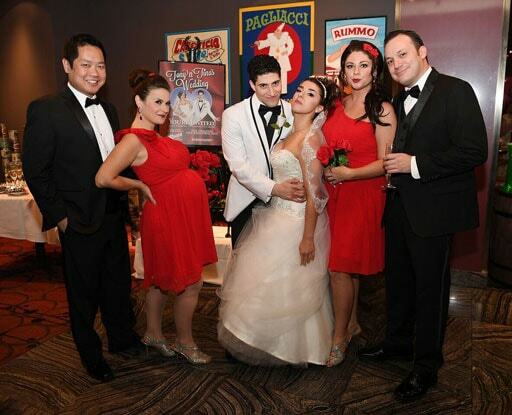 The Randy Report: Las Vegas: New Production Of "Tony N' Tina's Wedding"
Las Vegas: New Production Of "Tony N' Tina's Wedding"
It's hard to believe that after all my years living in New York City, I somehow never saw Tony n' Tina's Wedding, the longest running Off-Broadway comedy in history. The "environmental/immersive theatre" piece puts audience members in the middle of a traditional Italian-American wedding and reception. Fortunately, the play has just opened in Las Vegas at Ballys Las Vegas performing at real-life Italian restaurant Buca di Beppo Fridays through Wednesdays at 7 p.m. I definitely recommend checking out the new production - the interactive theater experience is absolutely hilarious. 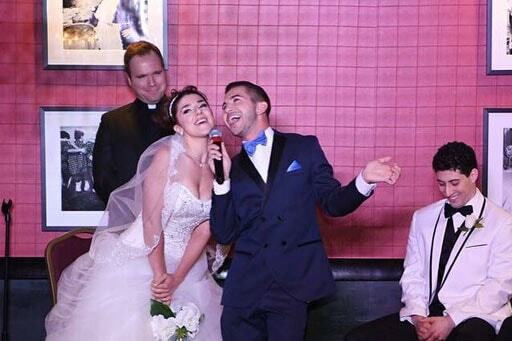 Audience members are treated as guests at the wedding by the interactive, improvisational comedy cast which includes over-the-top stereotypes like the hunky/built new husband, the self-absorbed bride, the totally-not-gay gay brother of the bride, a drunk ex-boyfriend, a pregnant matron of honor and more. With its original director Larry Pellegrini at the helm and an ensemble cast featuring Breon Jenay as Tina and Joseph Ben Shimon as Tony, the production incorporates today’s popular culture into the show’s repertoire. In addition to the comedy, the cast's terrific actor/singers serenade you with current and classic pop hits. 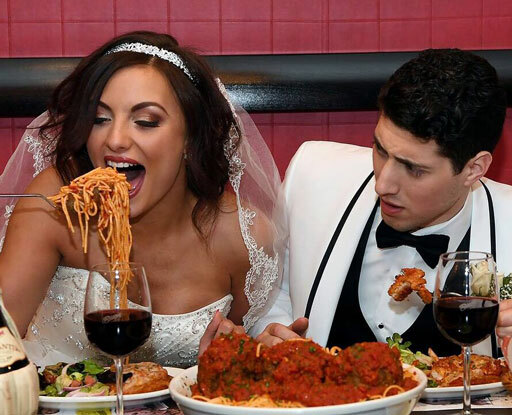 And yes, you are at a wedding reception, so included in the ticket price is full on Italian dinner with Caesar Salad, Chicken Parmesan, Bake Ziti, Wedding Cake and Drinks. And if you buy the VIP package ($129), in addition to dinner, you also get a two-hour open bar and a post-show meet and greet. Whoo-hoo! Check out pics from opening night below and you can get more info about the production here.